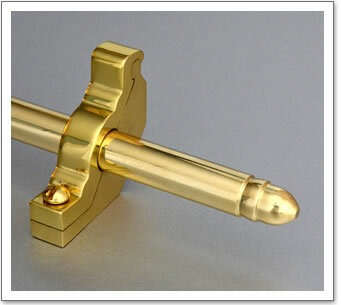 Brass Tacks manufacturer solid brass stair rods in the UK. 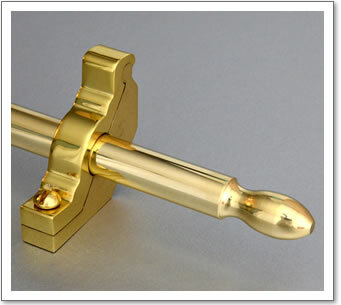 Brass Tacks offer a bespoke service to manufacture stair rods to exact lengths. For more information call 0208 866 8664. Many of the Stair Rods available from our competitors are hollow with screwed on finials. These can dent and become distorted. 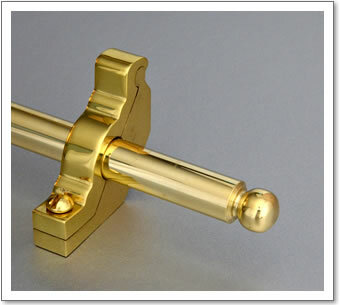 All of our stair rods are turned on a lathe from 1/2" (12mm) solid brass. We offer three finial options: Ball end, Acorn end or Tulip end. Each rod will be supplied with a pair of hinged Stair rod eyes. Various finishes are available, please see our different finishes page.